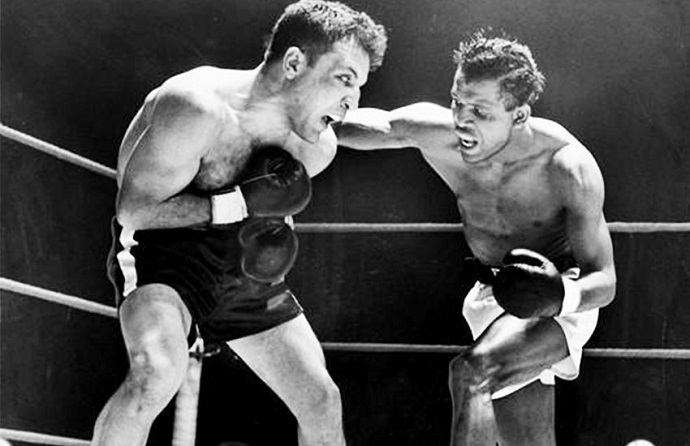 1943: LaMotta got the better of Robinson in their second meeting. 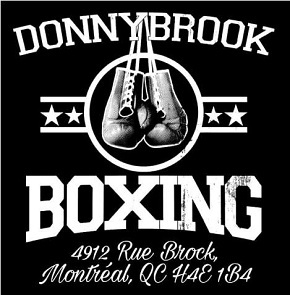 Both LaMotta and Robinson turned pro in 1941, Robinson a welterweight, LaMotta a solid middleweight. An undefeated amateur star, Robinson got off to a fast start as a pro and by the time of their first meeting in October of 1942, he was 35-0 and already the top ranked welterweight. The difficulty for Ray was no one wanted to fight him; he had to take on middleweights to stay active. 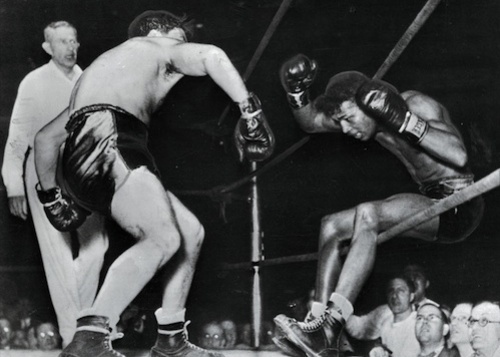 Robinson gave away more than ten pounds when he first faced LaMotta but it hardly mattered. With his quick hands and excellent footwork, he took seven of ten rounds. Four months later they met again and it proved to be a very different contest. LaMotta fought with fury, cutting off the ring, bulling his way inside, pounding right hands to the body and left hooks upstairs. In the eighth round he handed Sugar Ray the first knockdown of his career, LaMotta’s ferocious attack sending Robinson through the ropes. 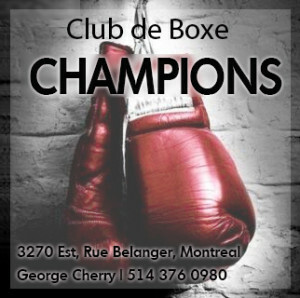 He took a close but unanimous decision, and gave Ray his first defeat. Sugar Ray takes a clearcut decision in their fourth battle. Such was the interest in this budding rivalry that their third meeting took place just three weeks later. 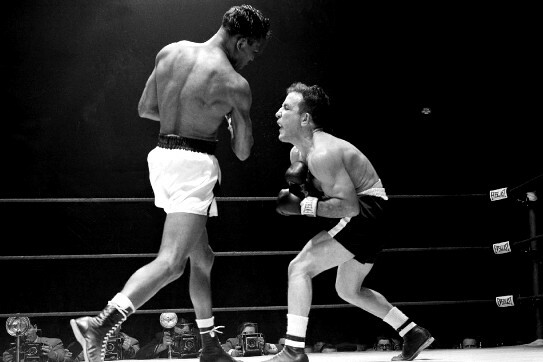 This time, despite LaMotta again knocking Robinson down, Sugar Ray cleanly outboxed the Bronx Bull. It was the same in their fourth meeting in 1945 in New York, with some even scoring all but one of the ten rounds for Robinson, but it was a different story the next time out. Their fifth tilt was a 12 round war in Chicago, a bruising and desperately close affair, both men hurt and bloodied. The thin decision again went to Sugar Ray, though many at ringside felt LaMotta deserved better. Ray himself judged it the toughest bout of his career. Five fights, four wins for Robinson, but that fifth meeting left many with a sour taste and a sense the terms between them were not yet decided. But now they went their separate ways, the years passing as Robinson at long last won the world welterweight crown in 1946, and LaMotta finally took the middleweight championship in 1949. But by 1950, Robinson could no longer make 147 pounds and had moved up to middleweight, setting up a sixth meeting, this time for a world title. LaMotta took an early lead. On February 14, 1951, fifteen thousand packed Chicago Stadium and millions more watched thanks to the new and suddenly popular technology of home television. They all witnessed a war for the ages. For LaMotta, this was his last hurrah, and he knew it. 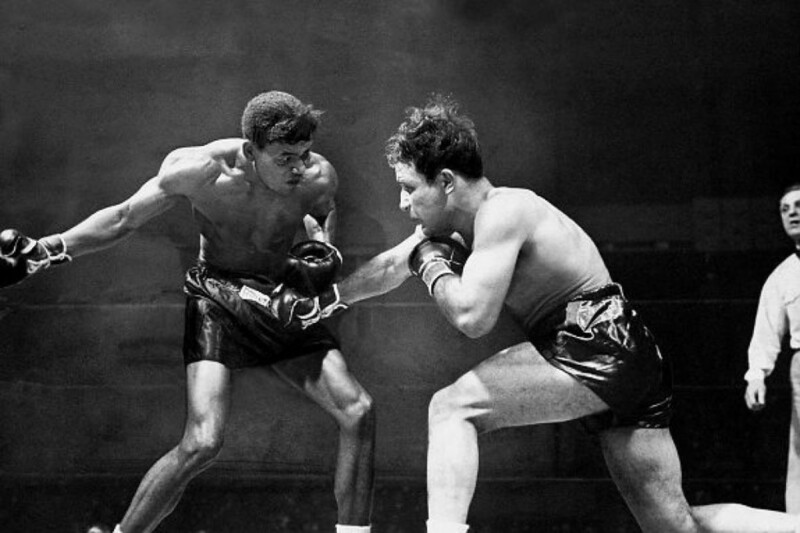 While Robinson, incredibly, would go on to compete for another 14 years, LaMotta’s fighting style necessitated a shorter career – too many brutal wars, too much wear and tear. 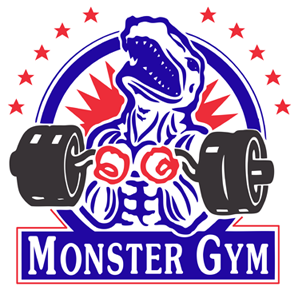 The 160 pound weight limit was a terrible struggle for him now; the day before the contest he had to shed more than four pounds. 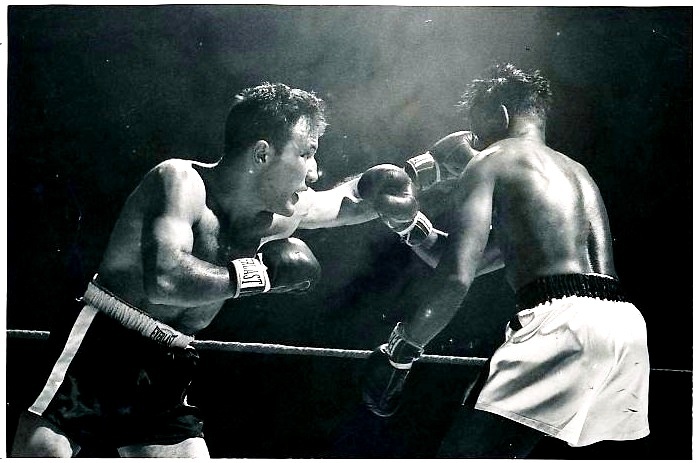 Knowing he lacked the stamina to go fifteen rounds, LaMotta altered his strategy for his final battle with Sugar Ray by starting fast, targeting Robinson’s head more and trying for a knockout. Meanwhile Ray, aware of LaMotta’s struggle to make weight, boxed beautifully but with aggression of his own, digging energy-sapping shots to Jake’s mid-section whenever the opportunity arose. The bull’s big chance came in the sixth. He hurt Robinson with a left hook and followed up with a fierce two-fisted attack that drew blood and had the challenger briefly in trouble. 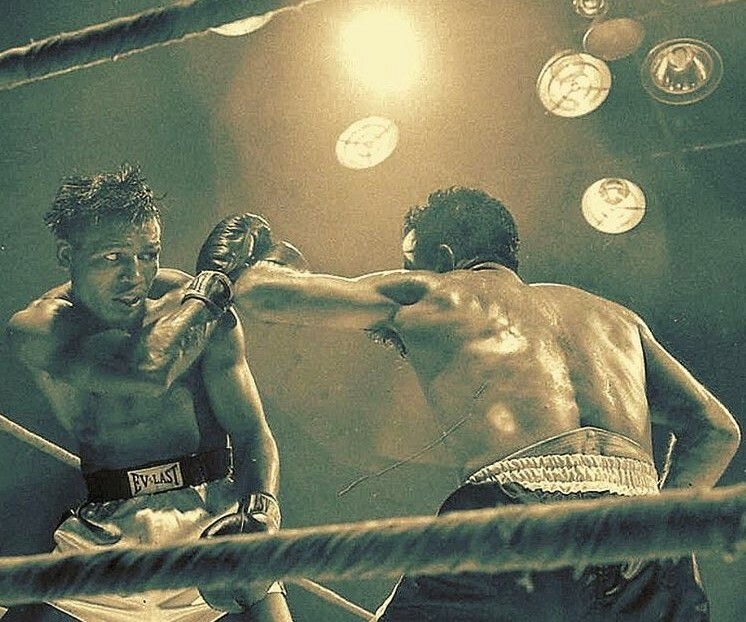 But Sugar Ray survived and the battle went on; by round 11, LaMotta’s gas tank was empty. 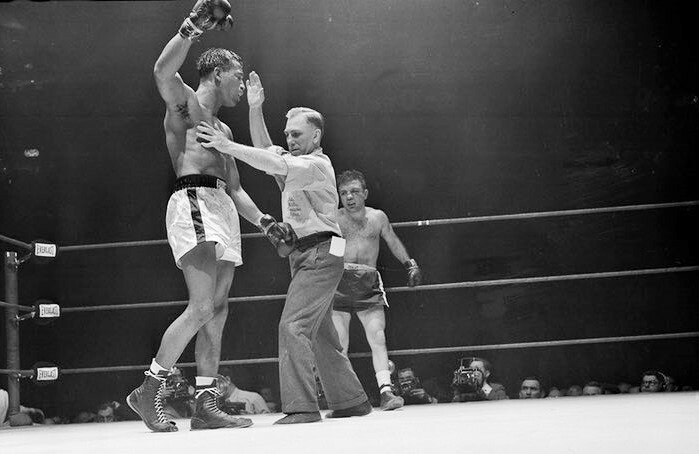 The champion staged a last, desperate rally, driving Robinson to the ropes and unleashing a barrage of punches in a final effort to force a stoppage, but the gamble failed and at the end of the round he was reeling from Ray’s counter-attack. The start of round 12 marked the end of a competitive fight. Robinson scored at will and now he wanted what no one had ever possessed: a clean knockout over “The Bronx Bull.” A fusillade of hard shots connected. Hooks, uppercuts, haymakers – Ray couldn’t miss. Perhaps out of respect for LaMotta’s vaunted toughness — in 95 fights he had never tasted the canvas — the referee refrained from stepping in. The champion somehow survived and the ringside physician visited Jake’s corner between rounds but allowed him to continue. Not for nothing do they call this fight “The St. Valentine’s Day Massacre.” In round 13 LaMotta absorbed a truly horrific pounding. Everyone could see that the champion had no chance of winning but he simply refused to go down as he withstood a seemingly endless series of Robinson’s best punches. The referee appeared reluctant to stop it, even as LaMotta, now unable to keep his hands up, staggered about, catching clean, vicious shots that would have knocked out any other middleweight on the planet. Only after a flush right hand had nearly decapitated Jake, and ringside officials finally signaled for the battering to end, did the referee step in and raise Robinson’s hand. A beautiful and lost era!